Superman stays put, and a new defensive line coach in the fold. Lions fans were given some more good news yesterday when it was announced that Geroy Simon had signed a contract extension with the team through the 2013 season. As Lowell Ullrich pointed out, the event has pretty much become a yearly one in which Superman calls his own shots and who are we to are argue? Simon is of course on the verge of becoming the league’s all-time leader in receiving yards and with another two full seasons to come, all things willing, it will be a long time before anyone challenges the new mark he’s likely to set early in next year’s campaign. Simon has indicated he has some coaching aspirations as well, but that he won’t pursue those goals until after his playing days are done so that he can continue to play at a high level. 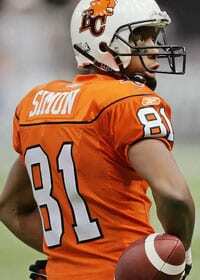 Simon will tell anyone who asks that he feels as good now as he has at any time during his career. That’s great news for BC Lions and CFL fans, but certainly bad news for the defenders that try and cover the man of steel. The Lions have officially replaced defensive line coach Randy Melvin, who left for a job with the Tampa Bay Bucaneers. They will soon announce the hiring of Carl Hairston, who will begin work with the club next week with an impressive resume that includes a Super Bowl ring as a coach in St. Louis and 15 NFL seasons as a player. Musings from the Den: Ben Archibald and egg on my face! There has been a lot of CFL news of late with the release of the 2011 schedule and the opening of the free agency period. The BC Lions added key pieces to both their offensive and defensive lines in signing import left tackle Ben Archibald (Calgary) and defensive tackle Eric Taylor (Toronto). The signings addressed two areas where the the Lions had hoped to improve. Not since Rob Murphy left for Toronto two season ago have the Lions had two solid tackles on the offensive line. With the emergence of rookie Jovan Olafioye, who will move to right tackle and now the addition of last years most outstanding offensive lineman, the hope is that QB Travis Lulay will be well protected from the get go this season. The two import bookends leaves the Lions with some decisions to make on the offensive line and my signal trouble for Justin Sorensen who has struggled to impress when filling in for injured players the last two seasons. Eric Taylor will be slotted in on the defensive line to team with Aaron Hunt on the inside and bring experience. The 29 year old Taylor signed a 3 year deal with the Leos. 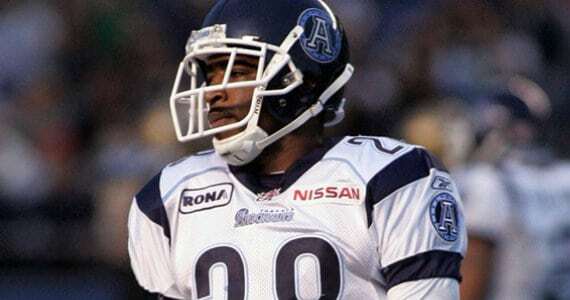 A rumour making the rounds Wednesday originating from a tweet by Sportsnet’s Perry Lefko (one that he’s since deleted) suggested that Lions DB Stanley Franks would not be playing in 2011 due to a family issue and would be released by the Lions proved to be false. I found the tweet by Lefko odd since earlier that day The Province’s Lowell Ullrich had written the 24 year old Franks had signed an extension with the team. Priding myself as a blogger that likes to get things right, I sent Lowell and other media people I trust a message on Twitter, asking if he had heard the rumour and he replied saying he would would post something later. He did and labelled the report as false. What? I didn’t post anything about the rumour! I tried to do the right thing and check my facts! Another shot at the blogger! How dare he! I sent Lowell another message asking “Why the shot at bloggers?” Again he replied…”You shouldn’t be so defensive. I am a blogger too. I am referring to myself.”. I crawled back into my blogger hole, rather red faced, after an apology to Lowell of course. Reports also surfaced this week that the Lions have sold 22,000 plus Grey Cup season ticket holders so far, with tickets yet to go on sale to the general public. With the renovated BC Place in the picture, you can be sure the game will be a quick sell-out so get your tickets fast when you get the chance. It’s going to be a helluva show! Tickets to the general public are expected to go on sale in late spring. The Lions will once again be holding training camp in Kamloops. Camp will open June 5th at Thompson University. BCLionsDen.ca will once again be up at camp for a few days and will attempt to bring you as much of the action as we can.